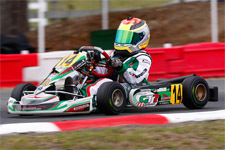 The sleek, new design features an innovative layout with user-friendly navigation, and loads of information on the ten-year-old karting phenom. The site features a full biography, all current and archived official press releases, a multitude of eye-catching photo galleries, and much more. 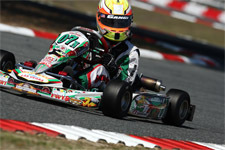 www.GangiJr.com has everything to keep tabs on this up-and-coming driver as he takes on the karting ranks. 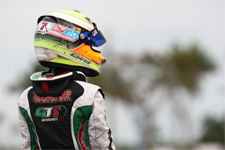 Visitors can also sign up to receive all of Gangi Jr.'s official press releases to stay on top of all the happenings in his promising motorsports career. 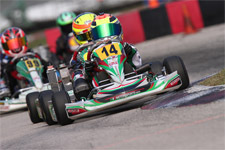 Starting off his 2012 season at the prestigious Florida Winter Tour, Gangi Jr. spent the winter months tearing up the Vortex TaG Cadet and Rotax Mini Max divisions. 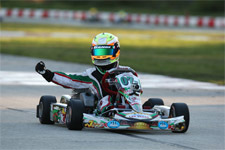 After earning third place honors in the TaG Cadet championship, Gangi Jr. then turned his focus to the national World Karting Association (WKA) Manufacturer's Cup and regional Great Lakes Sprint Series. 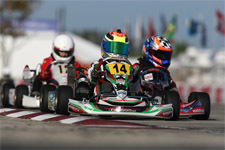 On track this weekend for the penultimate round of the 2012 WKA Manufacturer's Cup program, Gangi Jr. will look towards earning race wins in the Cadet Junior Sportsman class before making a quick turnaround to next week's US Rotax Max Grand Nationals, where he will vie for his second national championship after taking the 2010 Micro Max title. Gangi Jr.'s brand new site will allow friends, family and fans alike to stay current and up-to-date with the remainder of the 2012 season and beyond.